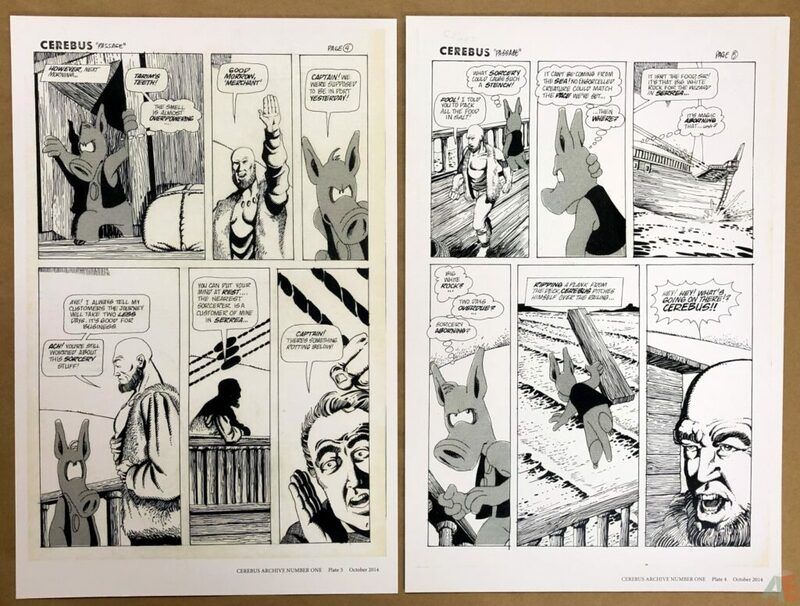 The Aardvark-Vanaheim Artist Editions begin here with the ten earliest pieces in the Cerebus Archive, six of them published and four of them never-before seen (pages 3 through 5 of the unpublished “Passage” story). 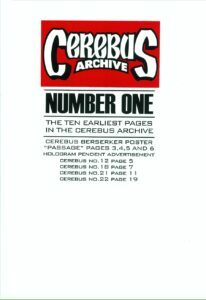 Reproduced full size in crystal-clear, state of the art digital reproductions on glossy card stock. 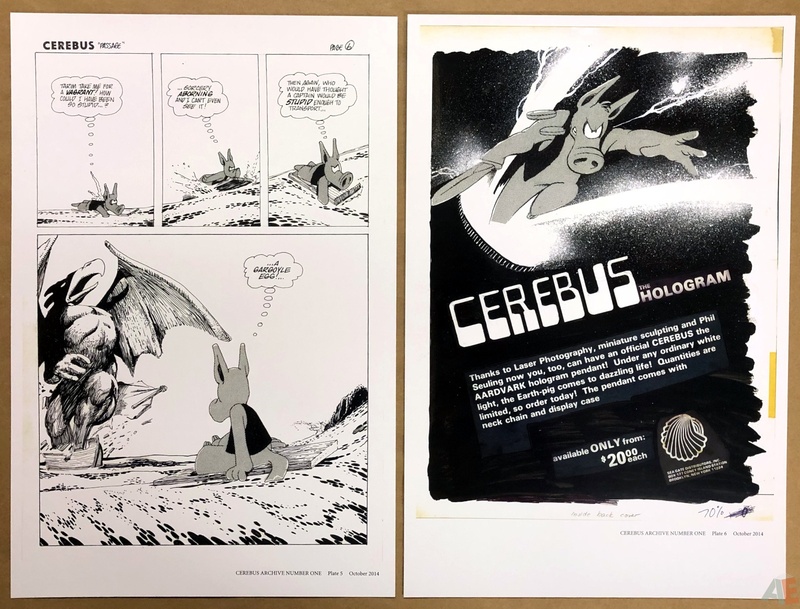 Cerebus Archive Artist’s Editions are the closest you’ll get to owning the actual Cerebus original artwork (that regularly sells for hundreds and hundreds of dollars) from the award-winning 300-issue series. 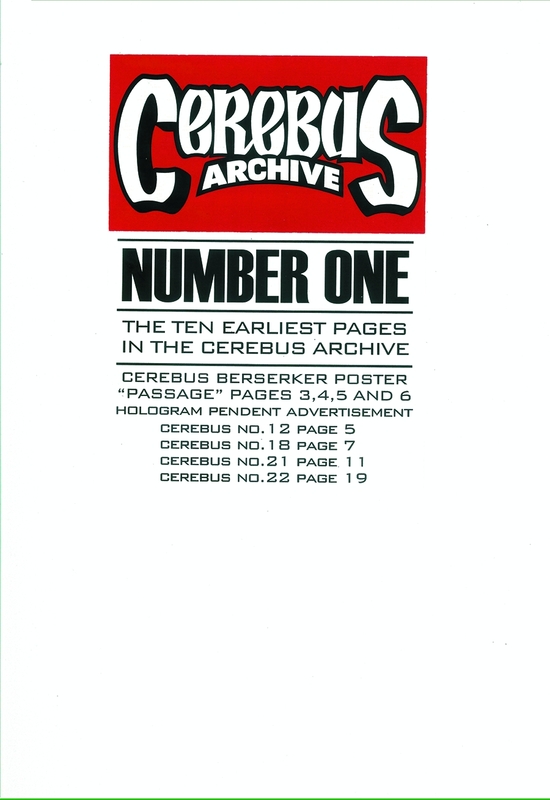 This is a portfolio of ten plates scanned from the original artwork. The credits on the portfolio envelope read “Aardvark-Vanaheim Inc. Artist’s Edition” so the goal is clear. 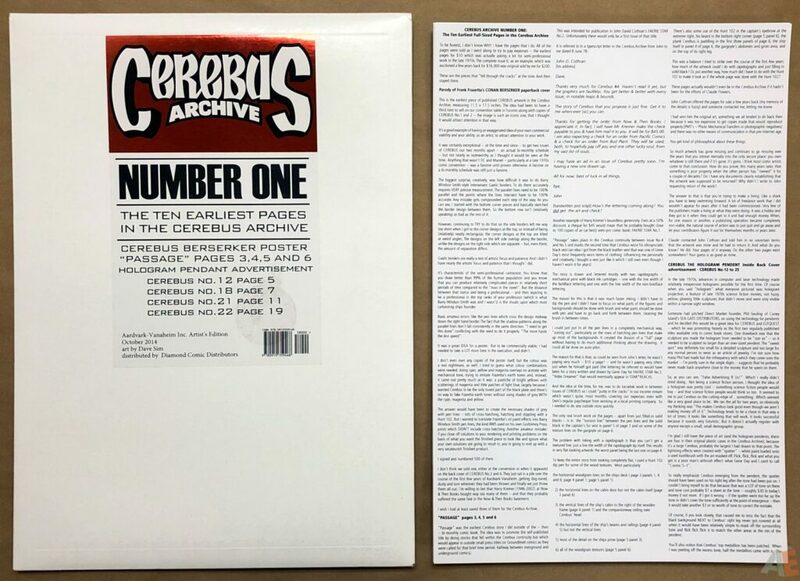 While they’re called Cerebus Archive Artist’s Editions in the solicitation, that doesn’t appear in the product. To be honest, I don’t know why I have the pages that I do. 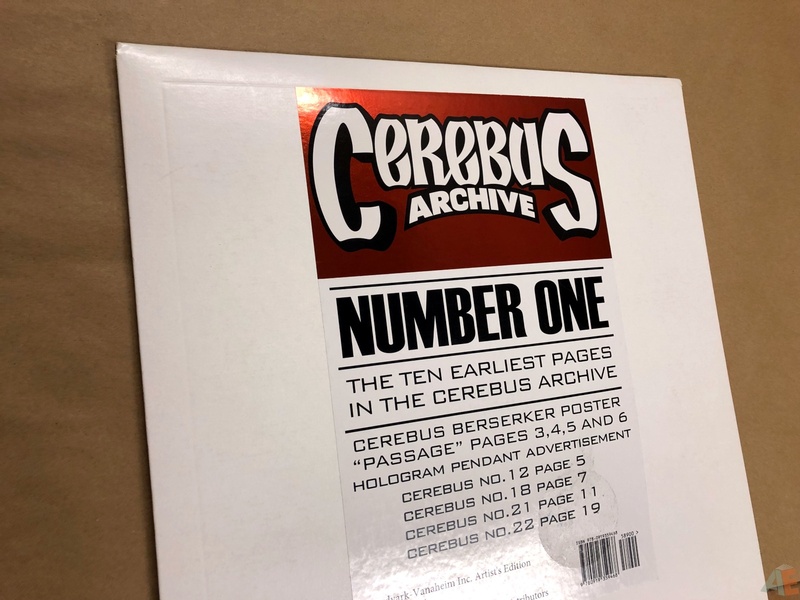 All of the pages were sold as I went along to try to pay expenses — the earliest pages for $10 which was actually asking a lot for semi-professional work in the late 1970s. 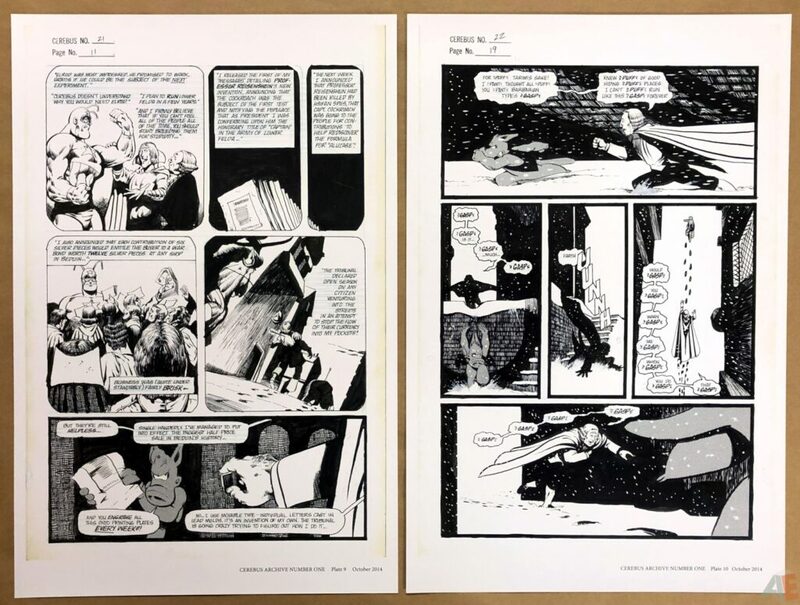 The complete issue 6, as an example, which was auctioned a few years back for $16,000 was original sold by me for $200. Scans are clear; no visual issues. Gradients are visible in all the blacks. Correction fluid used to clear up the inks. No margin notes, but it’s a single creator’s work. 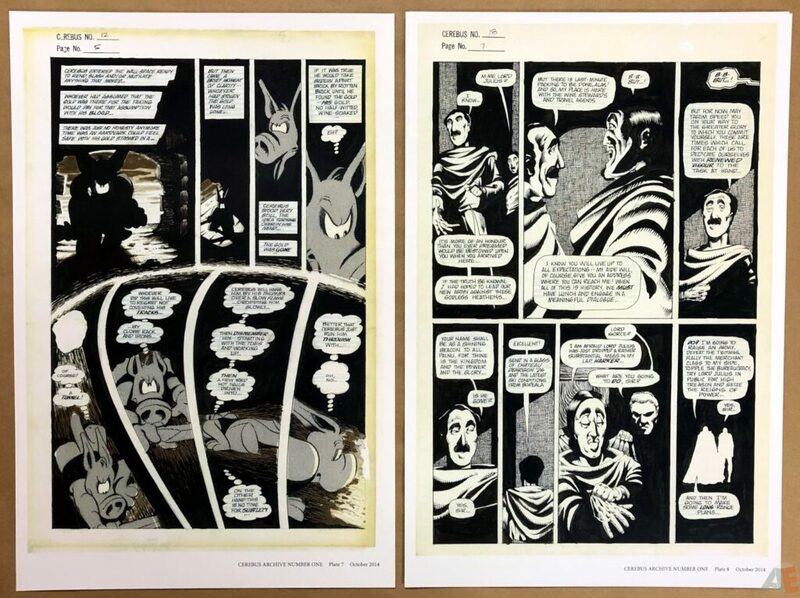 The pages have oddly aged to different shades of yellow, even though they’ve been in Sim’s possession the whole time. Blue pencil used for word balloon layout. Production is excellent. A very heavy glossy paper stock. Very glossy. Single sided. Eleven plates including the text plate, all in a cardboard envelope with two tabs. No credits outside of the envelope’s sticker. Each plate has the portfolio name, plate number, and date in the bottom right corner. 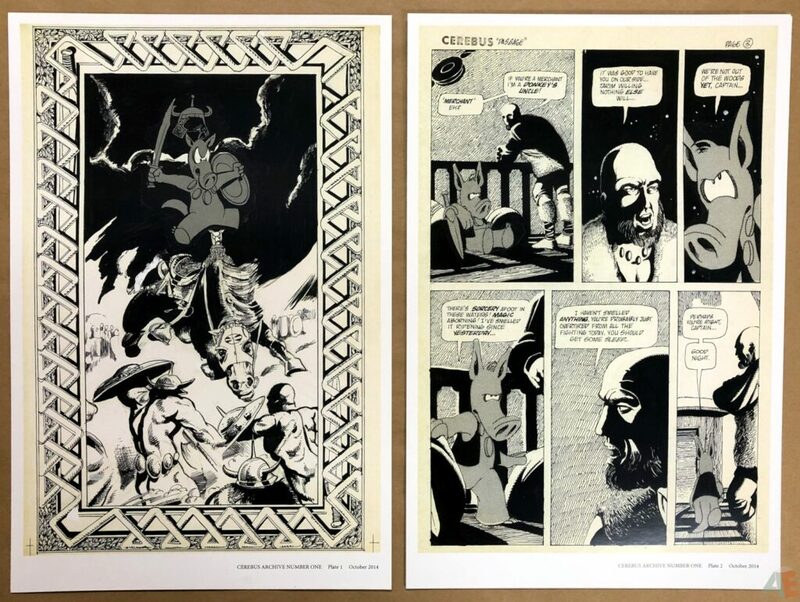 This was first offered through Kickstarter for $79, which was signed and numbered out of 300. The copy I have was the Diamond distributed version. I picked it up at a post-Christmas 2018 sale for $25. It’s a pricey item but worth it for fans who ordered through Kickstarter. A $10 increase and no signatures make the Diamond distributed version a tough sell. The text plate with Sim’s thoughts on each page greatly add to the appeal.